From the cover of Lorrie Moore’s See What Can Be Done: Essays, Criticism, and Commentary (2018). LOB: In your latest book, you tackle such an expansive constellation of figures and topics (from President Obama to Stephen Stills to Lena Dunham). How did you conceptualize congregating these texts? Did it ever feel like there was a single thread holding them together? Or a few threads? LM: They were all written separately and are freestanding responses to a variety of things. When reading the proofs, I noticed ideas of resilience, improvisation, and mother-love did recur. But this was not deliberate. It is just an accident of having written about different topics over a thirty-five-year period. And having all these pieces be by me. These are clearly themes I return to. Who knew? Proofreading reveals all. LOB: It’s pretty great how your interests in TV and the law come through in the book, and of course how you end up putting them together in a few different essays. LM: Thank you for noticing! Again, since each is an individual response written at different times, any overlap is serendipitous—but also a little inevitable. LOB: Another theme, if we can call it that, might be that you’ve written about so many great women. Was that intentional? You note, “It is sometimes, as a feminist in the world, difficult to stay pleased.” I wondered how that might have factored into some of these pieces. Was there a desire perhaps to see women acknowledged more for their work? LM: I didn’t have to make writing about women a conscious or purposeful or artificial thing since I gravitated to all my subjects naturally and for various reasons. I wasn’t choosing women because they were women. I was choosing them because they were great. LOB: The essays “On Writing” and “Memoirs” pull back and survey the land more generally, but they also have many first-person assessments and personal anecdotes. What specifically has led you to avoid, as you’ve noted, the “authoritative third person voice of God”? LM: As a writer I am not inclined to the personal essay. But I like them as a reader. So when discussing a film or a book I would often let snippets of personal essay emerge. It allows for the review to become more personal and for the reader to understand how a cultural event fits into the everyday life of the reader, viewer, voter, or bystander. LOB: Is there a particular essay you love, or—better yet—hate? You mention not everything is in the book. Was there a particular topic or era you wanted to avoid? LM: I think I like best the essays on Alice Munro, Miranda July, Peter Cameron, True Detective, and O.J. Simpson. I don’t think I deliberately avoided anything. But again. These topics were largely assigned ones. LOB: Before the assignment, there was the request. You mention the late, legendary editor Robert Silvers sending you books with a note asking you to “see what can be done.” What was it like working with him for nearly twenty years? LM: I started working for Barbara Epstein initially and she assigned me Joyce Carol Oates, Alice Munro, and John Updike, whom she referred to as the Big U. After she died, Bob began to be in touch and he could be adventurous and unexpected in his assignments. And he was the one who allowed me to write about screen narrative. I hadn’t seen anyone doing that before in the New York Review of Books. LM: The book contains pieces on music, biography, theater, film, literary fiction and television. But the visual arts are missing—I’m not sure why. (I do pay attention to the painterly aspects of cinematography, however; might that count?) I once wrote a small piece on a Rubens painting (not included here) and wanted to write about a Van Dyke painting that I loved and which the Frick has moved into storage. And ostensibly I’m a first cousin (many times removed) of Whistler, on the boring, religious, maternal McNeill side, but the art world is rather missing from the book, isn’t it. I have been close friends with several visual artists so maybe that caused me to step back and be quiet on the subject. I do have a mention of Alex Katz in the Beattie piece and de Chirico is mentioned in conjunction with Clarice Lispector (he painted her portrait). LOB: Well, I know of one magazine that would love to have you. Was this the first time for you to reread some of these essays? I was curious about the decision to put them in chronological order, too. LM: It certainly was the first time I read them all in chronological order—which I don’t recommend. But the order allows a reader to skip around more easily, which is how the book should be read: in random bits and pieces here and there. LOB: I definitely skipped around, and I kept thinking of your citation of Aristotle in the book’s introduction: “Those who are to be judges must also be performers” and how you turn that on its head to say: “those who are performers must also be judges—once in a while.” Which, you also say, is “a difficult but obligatory citizenship,” like jury duty. Can you talk a little more about what was activated for you in writing these essays? Was being part of the cultural conversation the main motivating factor? LM: To be part of the cultural conversation—yes. Also one is always writing what one would like to read, whether it’s fiction or non-fiction. Often I could not find sufficient discussion of something—The Wire, for instance, or Friday Night Lights—and so I decided to contribute something. LM: I just had to look up FOMO. I never write anything out of fear. And certainly not fear of missing out. Does FOMO stand for something else? Feelings of malaise offset? 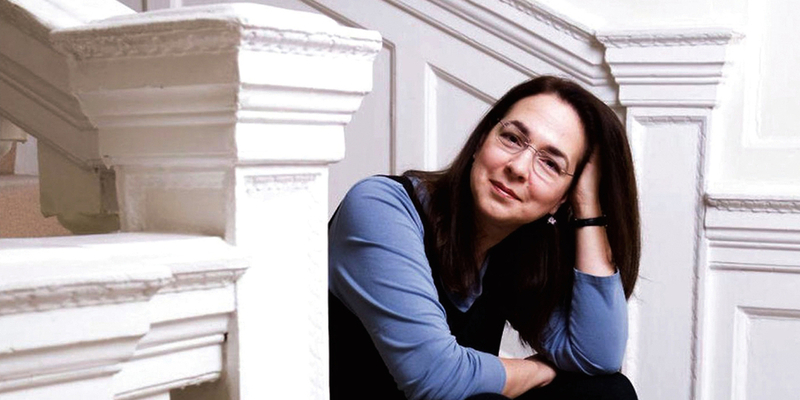 Lorrie Moore’s See What Can Be Done: Essays, Criticism, and Commentary was published by Knopf on April 3, 2018. Lauren O’Neill-Butler is a senior editor at Artforum.